There are few step that you follow. 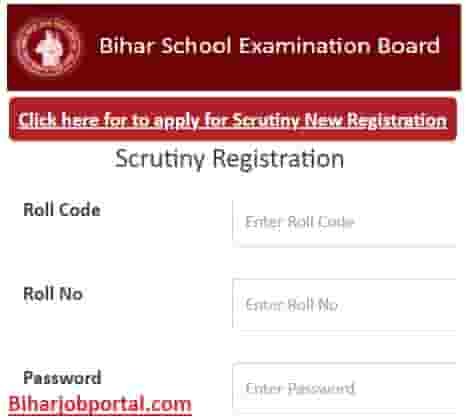 Click on “For Scrutiny Application 2019 – Click Here” Link. Click on “Apply for New Registration” Link. Enter Roll Code, Roll Number and Registration Number. Log in and Choose Subject for Scrutiny. Pay the Scrutiny Fee per Subject. Scrutiny Fees – 70/- rupees per Subject.